We're pleased to share our latest club video with you, shot mostly during one of our Bootcamp sessions that run regularly on Monday nights. If you've never been before, the video gives you a good idea of what goes on in our gym and shows the variety of people that train with us. 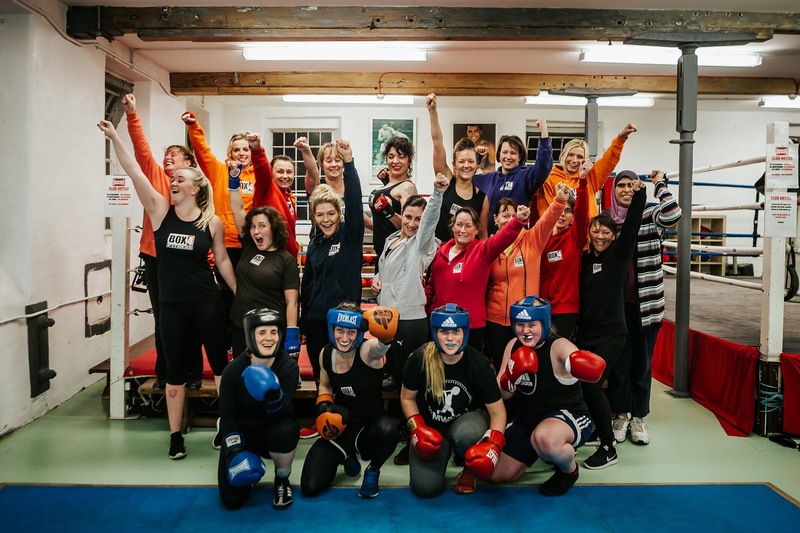 Most Box 4 Fitness sessions are female only (11+) although we do have a mixed Circuit class on a Tuesday evening and Saturday morning. So we have younger and older people, some are fit, some aren't, some are boxers, but mostly, they're people who just want to get fit and enjoy the training. We're not an exclusive gym, we welcome everyone, regardless of your level of fitness. The video was kindly put together by Charli Palmer of Photography by charli who recently started training with us. She's primarily a wedding photographer but has talents in many areas including video and illustration. Check out her website for more info. We hope this will encourage you to take the next step into the gym and come and join us.